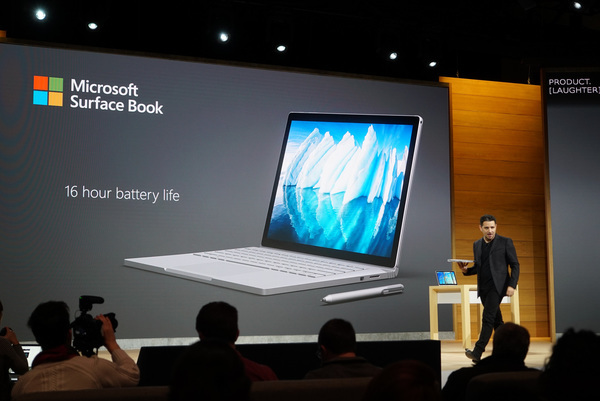 After its event in NYC yesterday, Microsoft reveals that it is willing to offer $650 for owners of MacBook and MacBook Pro who would want to exchange/trade in them for a Surface Pro devices launched yesterday at the Surface Event. After yesterday’s event is NYC by Microsoft , Apple is going to launch new MacBook Devices in an Apple event which was planned for 27th Oct.
Microsoft on the eve of the Apple event believes that its Surface Devices will be far better in terms of performance, features and versatility compared to the Macbook Devices to be launched by Apple at its event on 27th Oct. The company announced the “Trade – In ” program yesterday on the sidelines of the Event yesterday at NYC. The Trade In offer announced is available at Microsoft Stores in US.